Sergeant Mike Victorino is a 23 year veteran of law enforcement who began his law enforcement career in 1996. As well as being a veteran of the United States Air Force, Sergeant Victorino has held prior positions with the Spirit Lake Police Department, Kootenai County Sheriff's Office, Bonner County Sheriff's Office and the Sandpoint Police Department. Sergeant Victorino accepted a position with the Ponderay Police Department in June of 2001. Sergeant Victorino holds a POST Intermediate and POST Supervisor Certificate and has received over 2,100 hours of POST training throughout his career. 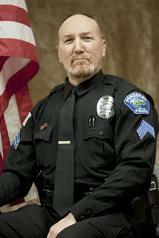 He has also held past certifications in Idaho as a Detention Officer and as a Drug Detection Canine Handler. Sergeant Victorino is the Ponderay Police Department's Detective and is responsible for investigations of felony and misdemeanor crimes. He is also a Field Training Officer, Defensive Tactics Instructor, Department Armorer, TASER© Instructor and an Instructor for the Stinger Spike System. Sergeant Brian Koch is a 15 year veteran of law enforcement who began his career in 2004 with the Sandpoint Police Department. 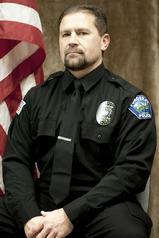 Sergeant Koch accepted a position with the Ponderay Police Department in January, 2012. Sergeant Koch is a United States Navy Veteran. Sergeant Koch holds a POST Advanced Certificate and has received over 1,700 hours of POST training throughout his career. He is a Delta College Alumnus and has attended the Northeastern Michigan Basic Police Academy as well as the Idaho POST Academy. Sergeant Koch has also held prior certifications in Idaho as a Drug Detection Canine Handler. Sergeant Koch is the Patrol Division Supervisor and a Field Training Officer. Officer Jeremy Deal is a 22 year veteran of law enforcement who began his law enforcement career in 1997 as a Reserve Officer for the Sandpoint Police Department. Officer Deal has held a prior position at the Bonner County Sheriff's Office. Officer Deal accepted a position with the Ponderay Police Department in July 2015. Officer Deal holds a POST Advanced Certificate and has received 2,010 hours of POST training throughout his career. Officer Deal is a North Idaho College (NIC) Alumnus and holds AAS degrees in Business Administration as well as General Studies. Officer Deal has also held past certifications as a Drug Detection Canine Handler. Officer Deal is a Drug Recognition Expert (DRE) Instructor, Breath Testing Specialist, Field Training Officer and an Idaho POST Certified Instructor for DUI (Alcohol and Drugs) Investigations.